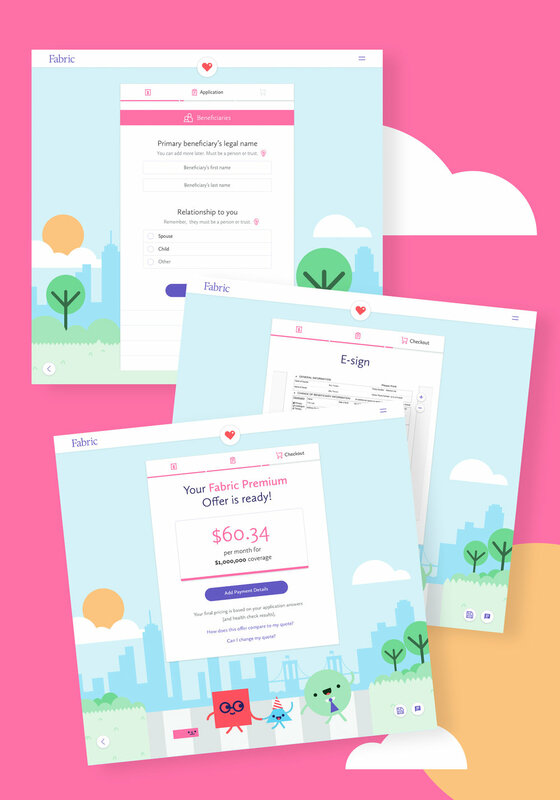 Fabric is a modern, friendly life insurance company that makes the application process quick and easy. For over a year, I consulted with Fabric on everything from a site refresh to fully redesigning the application experience. During my first few weeks with Fabric, I was able to give the entire marketing site a refreshed visual look. The previous style didn't reflect the inviting and joyful presence that we knew Fabric could have. I was able to utilize Fabric's unique character design to push the friendliness of the brand and their bold, vibrant colors. This responsive refresh includes the homepage, all secondary pages, and the blog. The original application process was a great step in improving the modern life insurance process, but it was time for a visual and experience overhaul. This included new standalone product pages, a stepped application flow, and new dashboard. My favorite challenge was creating a solution for multi stepped questions that have many branches—this was solved with visual groupings, loading states, and interactions that helped make the user understand the relationship of questions that fed in. With both the will and life insurance products, beneficiaries are part of the application process, but the process for adding and managing them was somewhat different between each application. This was my proposal for having an aligned system that could be used for all three applications. The system also adds the ability to store beneficiary information to your Fabric account, so that you can easily select and update changes to them if you apply for another Fabric product. I collaborated with the development team to create a style and component library. This focused around what specifications they would need for the building blocks of Fabric to make the brand experience seamless. 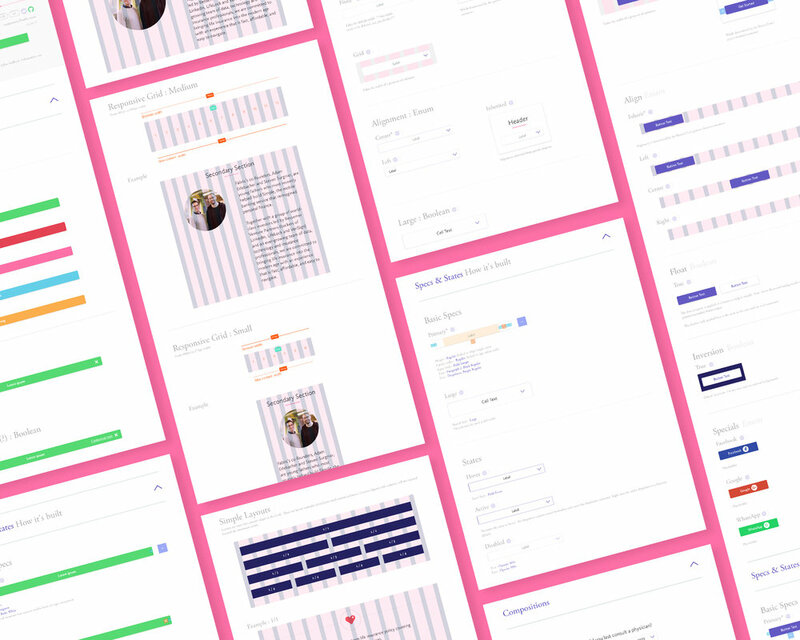 The library created an enormously useful foundation to streamline design going forward, increase consistency, and make it easier to test new designs as we progress.